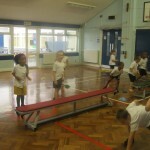 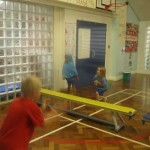 In PE today we developed our skill of throwing further. 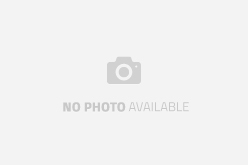 We are leading up to games that involve a net and a ball, so today we were developing our ability to thrown an object over an obstacle. 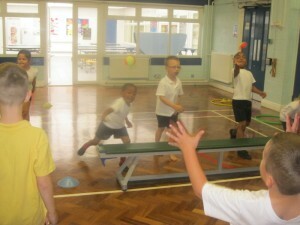 We started with a beanbag and then some pairs moved on to a ball, this was really tricky but we gave it a good go. 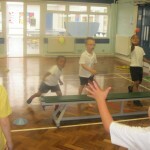 Mr Gill taught us strategies to help us catch the ball and we had a lot to think about. 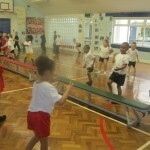 We really enjoyed our lesson today!